Sometimes I frequent the Christian cloister and sometimes the mosque, But it is thou whom I search for from temple to temple. Thine elect have no dealings with heresy or orthodoxy; For neither of these stands behind the screen of thy truth. Speculation to the heretic, theology to the orthodox But the dust of the rose-petal belongs to the heart of the perfume-seller. A recent popular biography of Leonardo Da Vinci by Michael White in passing raises an important issue concerning the supposed conflict between the quests for scientific and religious truths. White is surprised to observe that Leonardo lived during a period of intense religious persecution in Europe and yet in his notebooks there is singularly no mention of the divine. Would it be reasonable to conclude that Leonardo had no use for a traditional deity. Modern scientists, at a distance from that historical juncture, may have been able to reconcile the two, but for Leonardo … a man who had little respect for humanity but boundless respect for the beaut=yof the body and the place of humankind in the greater structure of pantheis=tvision, there simply could be no personal god [White, 2000, p.333].Conceptual frames developed by scientists or historians of science on theone hand and representations lodged in the popular imagination are closelyimbricated and structured by a schism whose origins are traced back to thebeginning of a process of secularization of science that commenced in thesixteenth and seventeenth centuries [Bentley, 1997; Jacob, 1988; Crombie,1994; Porter, 2000; Fuller, 1997a]. Another work of a historical-literary genre, Samarkand by Amin Malouf takesus into the socio-political world of Omar Khayyam and the golden age ofArabic/Islamic science. The portrait we have of the working of the polymathmind of Omar Khayyam is again deeply suggestive of a very contemporaryunderstanding of the distinctive methods and goals of the scientific andreligious quests [Malouf, 1992]. However, scholars have pointed out howpre-Galilean science was enveloped within a sacred cosmos, and thesecularization of science marks a departure from scientia sacra [Koyre,1958]. In the elaboration that follows, I shall discuss the quests of twotwentieth century scientists, Joseph Needham and Abdus Salaam in order toexplore two contemporary perspectives on science and religion. The exploration can be pursued from a number of perspectives. I shallhowever restrict the questions asked to the social studies of sciencewithout pursuing the deeper concerns of theology proper. However, at thevery outset, it must be specified that while unraveling the complex worldwithin which these perspectives are anchored, I do not privilege either ofthem or value one over the other. The choice of scientists is determined bytheir vocations as pious scientists and the circumstance that they came fro=mquite distinct cultural and political backgrounds, and though they spent agood part of their lives at Cambridge University their trajectories may ormay not have intersected. Science and religion: A Veritable War Zone? We begin by asking how is the relationship between science and religionconceived? Do we accept the standard picture that portrays these as twocontradictory, oppositional, conflictual pursuits? (2) Is there an immanenttension between them or is the conceptualization of this relationshipconditioned by the changing role and function of science and religion inhistorical time. In order to comprehend this relationship necessitates,among other things, investigating the models scientists have developed abou=tthe natural world they analyze and the symbolic world in which human beingshave found both meaning and purpose in life. (3) Consequently, it may besuggested that this relationship itself evolves and is in consonance withthe interests they serve within society. Just as we cannot discuss themethod of science in the ever-present tense [Fuller, 1997], it is notmeaningful or rewarding to conceptualize science and religion ashistorically unchanging. Taking a historical perspective, Hedley Brooke ha=ssuggested that there are three historically contingent models of therelationship between scientific and religious movements serving differentsocial, political and religious ends [Brooke, 1996, p.764]. aseparation of the two realms of science and religion. Further this is amarker of the separation of professional science from that of academictheology. The conflict model appears in sharp focus, according to Brookewhenever the scientific community seeks to consolidate new scientificdevelopments or professional changes and in the process excludes thereligious community, or when the religious community feels frightfullythreatened by these developments [Brooke, 1996, p.764]. These broad pattern=sor models themselves emerged out of the Western European historicalexperience over the last three hundred years. These broad patterns would overlap in cultural zones distant from theWestern European cultural experience; and in such a situations not onlywould they overlap but would the patterns would exhibit some degree ofinterfoliation. It could even be suggested that this may be equally true ofthe European or Western experience as well. The antagonism of the Frenchsavants towards the clergy during the decades preceding the Frenchrevolution of 1789 and for a couple of decades following it appears to havebecome emblematic of the relationship between science and religion. Thepicture in England was however not so clearly defined till the controversyover Darwinian evolution in the late nineteenth century. Consequently, itcould be suggested that the power of the conflict model derives from threeimportant historical developments in the history of sciences. The first ofthese relates to the origin myths that paint Bruno and Galileo as victims o=freligious fury and martyrs in the cause of modern science [Redondi, 1989;Lerner and Gosselin, 1975; Weingart, 1993]. The interesting feature here isthat religion is presented as one of the several forces that compromise thesearch for scientific truth. As the morality tale has it, in the end thetruth of science prevails over the forces that seek to suppress its autonom=yand corrupt this enterprise of truth. The second development that becomesmore relevant in the nineteenth century is the recognition of a process tha=tcommences in Galileo’s physics but relates to the secularization ofscientific knowledge and sees its culmination in the birth of evolutionarybiology and synthetic organic chemistry. And finally, we have the trope ofBaconian optimism that science will usher in the millennium. This feature i=scommon to all policy discourses and was already present in the Voltaireanpromise of science as opposed to religious pursuit. But as Brooke rightlypoints out, the inadequacy of this model that is premised on the agonisticcontest of two competing mentalities is evident when we confront men andwomen of the cloth pursuing science or when the cause of science is pursuedby pious scientists [Brooke, 1996, p.765]. In any case, the proposition tha=tscientific and religious interests are frequently locked in a pitched battl=eis rooted in the Western historical experience. Histories of science innon-Western cultural areas frequently ascribe the non-emergence of modernscience in these regions as a consequence of the over-bearing presence ofreligious interests that have stifled the scientific march towards truth[Sayili, 1960; Huff, 1993; Chattopadhyaya, 1959, 1976, 1986]. My purpose here is not to refute or validate this central premise thatdefines the relationship between science and religion, though I may bepersonally disposed to it in some weak form for purely historical reasons.However, I would like to elaborate upon its inadequacy by peeping into thereligious world of two contemporary scientists. In doing so, I shall arguethat the boundary between the models of isolation and integration are veryfuzzy as we traverse across cultures and contexts. No opposition has been more violent and long continued in the past thanthat between the organized apprehension of the world’s ultimate mystery,which we call religion, and the organized investigation of the world’sapparent mechanism, which we call science [Needham, 1976, p. 56]. In this separation of science and religion Needham sees that the spacecommanded by science begins to encroach upon that engulfed by religion. Thi=sconstituted the crux of the challenge for religion. As the domain of scienc=eexpanded it compressed the world of the numinous into a corner: We live ina world dominated by scientific thought, or rather …by a popular versionof the state of mind natural to the scientific thinker [Needham, 1976,p.57]. From the perspective of a very contemporaneous debate it isinteresting to remark that this essay was written, read and published inEngland, which was still distant from the concerns of the publicunderstanding of science (4). And yet while that world could be considere=dscientific, Needham wondered whether the gravity of that remark had actuall=ybeen apprehended. The true connotation of referring to the age as scientifi=cresided in the ‘extraordinary power’, acquired over natural processes byhuman beings. The acquisition of power had deracinated human beings from th=eearth and insulated them by layers of steel and glass. The challenge thatreligion faced from science came from at least four quarters. Like his colleague and Marxist comrade at Cambridge, Des Bernal, Needham wa=svery farsighted in anticipating the ethical consequences of futuredevelopments in the area of biological engineering. A logical consequence o=fthis accumulation of power would further hasten the process whereby the tie=sbetween man and nature were severed. Writing in 1930: an instance whichconcerns me particularly as a biologist… we are as yet only at the verythreshold of undreamed of control over living things, includingourselves… [Needham, 1976, p. 59]. This prompted an opposition betweentheology and science and begged the question from science: having acquiredthis power over nature how was it to be deployed? Where would the rules tha=tguide its application come from? This impulse to harness and control naturesustains the millenarianism of science and the concomitant erosion ofmystical attitude towards the problem of evil. 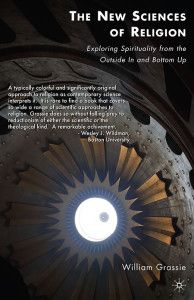 The tension betweenscience and religion is translated into the tension between millenarianismand mysticism – though according to Needham these forms of experience aremirror images of each other. The ideological positioning of science incommunism is derived from this millenarianism that eschewed mystery. The second source of antagonism between these two approaches arises from th=eprinciple of abstraction as it operates in science. The principle ofabstraction involves the processes of classification and indexing ofindividual entities or cases into classes and once these classes are create=dthe individual instance is forgotten. In the language of science, once anindividual instance is fitted into the curve and an equation set up theindividual instances no longer matter [Needham, 1976, p.61-2]. Needhamobserved that the influence of scientific abstraction on daily life wouldonly increase with time and travestied an essential perspective of thereligious spirit: …the interference of science with the course of Natureweakens the appeal of the mystical attitude towards life, so the habit ofabstraction common to all scientific procedure weakens that attention to th=eindividual and unique which always was and probably always will be anessential part of religion [Needham, 1976, p.63]. The third challenge that the practice of science poses for religion arisesfrom the ethical neutrality of the practicing scientific worker. Thisneutrality is for Needham Janus-faced. It is a virtue inasmuch as thescientific worker must not be deterred by the subject matter ofinvestigation. This detachment with respect to the subject matter is in hiswords an extremely noble thing that he or she must strive to attain. Butwhat this produces is a spring-cleaned, swept and garnished room free tobe occupied by other demons, such as those of war and pestilence [Needham,1976, p. 64]. Thus the scientific worker’s ethical neutrality compromisestraditional morality. The dominant positioning of science in society givesrise to an experimental morality that compounds the problems for organize=dreligion [Needham, 1976, p.65-6]. In pointing this out Needham does differentiate between the problems posedfor ethics in the contemporary world from those of the past. Thus earlyGreek science was not an experimental science the way modern science is, bu=twas based on speculations of a scientific character concerning naturalthings. These speculations were recommended since they released humanbeings from divinities depicted in the representations of the motions of th=estars and planets. However, the constant feature was that the even in thisearly period of Greek history science and religion belonged to separatedomains. Nevertheless, the Stoic Epicurus would remark that by reflectingon the natural construction of the world a certain peace of mind could beattained [Needham, 1976, p. 70]. The Epicurean standpoint was quite atvariance with the religious one since it did not entertain any awe towardssuperhuman power as Neoplatonism did. And without awe the sense of thereligious was absent. If the prehistory of science and techniques wasalready marked by an erosion of reverence, how much more difficult would itbe to sustain it in today’s world to continue [Needham, 1976, p.70-71]. Thu=swhile science and religion are not opposed to each other, the very originsof science are characterized by a loss of the sense of mystery or reverencefor a superhuman power that governs the world from behind the curtains. or Pythagorean priest has been the outcome of the acquisition of greaterpower over nature [Needham, 1976, p.234]. The inability of Christian manto transform human society into the kingdom of god on earth manifests itsel=fin the ancient separation of the secular and the sacred. In the modern agethis continued failure when measured against the gradual advance of scienceshifted the source of legitimacy from religion or the monarchy (legitimacyof the monarchy as ordained by divinity) to science [Weingart, 1993].Science became the new source of legitimacy and scientific worker the newascetic or monk [Needham, 1976, p.234]. * as here and now* as here but not yet* as not here but now already* as not here and not yet [Needham 1976, p.241]. The Cambridge Union Society had organized a debate on 9 May, 1961 around th=eproposition Where Science advances Religion Recedes. The proposers of themotion had argued that as mankind succeeds in penetrating the secrets ofnature, naive religious beliefs must succumb; the doctrinal certainties ofthe past are transmuted into a corpus of legend [Needham, 1979, p.189].Needham however took a different tack on the motion and argued instead thatthe advance of science lead to the purification of religious philosophy an=dto new interpretations of theology. It was popular religious folklore thatwould disappear [Needham, 1979, p.189]. The ocular centric vision of theEnlightenment was revealing a very different perspective on religion. Thelight of science would not consume religion but would purify it ofreligion’s populist side and draw it to the empyrean heights of religiousphilosophy. Clearly Needham’s understanding of the relationship betweenscience and religion had changed between the 1930s and 1960. If in the 1930=she saw the ideology of science encroaching steadily upon the differentaspects of human experience, in the 1960s he saw science not so much asliquidating religion but of purifying it. This conversion was in part produced by his encounter with the science andreligion problematic in other cultures. This encounter with other culturesrevised his definition of religion as going beyond just the sense of thenuminous by being attached in its most developed forms to the highestethical principles known to man. These ethical principles included theimperative to altogether transcend particular manifestations of ourparochial and limited experience 5[Needham, 1979, p. 189]. In which casescientific advances could enable the invention of new non-particularistic o=rnon-denominational forms of religious community. It could be conjecturedhere that there were two senses of internationalism that formed a sort oftemplate for his new vision of community. There was his Marxist inspiredinternationalism of the working class and the international ethos of scienc=ethat guided the scientific worker the world over. In order to acquire this perspective of religion Needham sets out whatreligion has meant in different regions of the world and not just infragments of medieval Latin theology garbled into English and popularlymisconceived [Needham, 1979, p. 190]. A more extensive understanding of th=ereligious universal impulse would come from entering into a dialogue withthe civilizations of the East and Needham spent a good five decades of hislife attempting to understand the science and civilisation of China. Theexploration of Confucianism led him to infer that religious thinking was no=tnecessarily underpinned by the doctrine of a creator. Quoting thethis-worldly ethic of Confucius: You do not yet know how to serve yourfellow-men; how should I teach you how to serve spirits. Needham probablyfound that the idea resonated with his own Marxism and this engagement withConfucian reversed his conception of religion, by putting his fellow-beingsbefore God (6). Confucianism thus provided him the lever to prise open theassumptions of science and Christianity. The co-existence of materialism an=dreason with rite and liturgy within Confucianism challenged the dualisms onwhich Western modernity was premised. Similarly Chinese Buddhist theology was hardly insistent on a supreme deity=,a priesthood or claim to infallibility. Ethical insight and the numinouswere bound together in a theory of salvation that could only be achievedthrough self-restraint, self-control and self-sacrifice. Though thissalvation is personal it is also the clue to human solidarity and socialorder. The advance of science could at best challenge the mythologicalbelief or the belief of reincarnation. But the technology of the self thatwould emancipate the self through the practice of compassion would remain[Needham, 1979, p. 194]. For Needham then, as would be the point beinglaboured between the lines, religion was the sense of the numinous appliedto the highest ethical values [Needham, 1979, p. 194]. This conception ofreligion provides us the clue to the relationship between science, religionand Marxism in Needham’s thought seen as motivated by a theory of actionguided by the highest ethical values. For it was only in a socialistsociety, his age of communists believed that, would science be used forhuman benefit rather than human destruction. The real meaning ofdemocracy would derive from the likely application of science as a commongood; since the boundary between the pursuit of science for its own sake an=dscience for profit were often blurred [Needham, 1979, p.195]. This vision of science would come with a word of caution. For the Marxist,religious opium was to be oblivious of class oppression but Needhamalerted his readership to scientific hashish as well. Scientific hashishwas the cloak of neutrality that scientists wore and that exonerated them o=fthe responsibility of the consequences of their scientific researches.Charging his mathematical physicist and experimental biologist colleaguesfor refusing to make political judgements, or ignoring the socialapplications and consequences of their discoveries – the scientist is indanger of becoming the hashishin [Needham, 1979, p 196]. Needham’sreligious credo is then that of a scientist at a time when science becomesthe most dominant source of legitimacy. This is not to say that Needham denied the tormentous relation between thetwo. The paradox for Needham was that the region of the world where modernscience blossomed was also the region that produced an indefensibletheology. Further east, idealist and subjectivist attitudes played upanti-scientific attitudes in India (7). This was never the case in China, o=rso Needham contends [Needham, 1979, p. 198]. The author of this paper is no=taware how contemporary and subsequent generations of Chinese historians ofscience responded to this perspective of Needham. However, this excursionleads him to plead for the mutual understanding of the great civilizationsby each other. This was his supremely ethical cause celebre. In concluding this discussion on Needham, it may be said that Needham was i=nsearch of a new definition of religion consistent with his science andpolitics. His journey into Chinese science and civilization provided him acomparative perspective from which to distance himself and think through th=eantinomies of Western culture. This thinking through was important duringthe years when the ideology of an ever-powerful science swept through thescientific community and had anchored itself within the public at large.Having lived through two world wars and the looming threat of nuclear war;the revolutions of biotechnology just around the corner; Needham and member=sof the Cambridge left were for looking for ways to ethically guide scienceand protect it from the profit motive ideology of capitalism that controlle=dscience. For Needham a new conception of religion enriched by the light ofscience would show the way: All superstition will be swept away, all falsetheology will disappear, but the holiness of mercy, pity, peace and lovewill remain. Indeed they and they alone will be able to save science fromthe utter disasters which otherwise the misuse of it will bring uponmankind [Needham, 1979, p.199]. The relationship between science andreligion was a dialectical one, for science would purify religion of theaccretions of the centuries, while religion would guide science through theapplication of the numinous redefined to the highest ethical values. 1 Paper presented at the International Seminar on Modern Science, Values an=dthe Quest for Unity, January 2nd -6th, 2004, Mahabaleshwar. I thank theparticipants at the conference for their valuable comments, some of whichhave been incorporated. The usual disclaimer applies. 2 Some historians of science often take the conflictual view as paradigmati=cor axiomatic of the relationship between science and religion. In the wordsof Draper, the history of science is a narrative of the conflict betweentwo contending powers, the expansive force of the human intellect on the on=eside, and the compression arising from faith and human interests in theother [quoted in Brooke, 1996, p.765]. 3 The social studies of science has for sometime now been acquainted withtheories that are anchored in the idea of the co-production of natural andsocial order. One could risk suggesting that there could as well be ananalogy between the co-evolution of the natural and religious order. 4 For an interesting review of the subject see [Wyne,1994].5 In a sermon he delivered at Gonville and Caius College in the same year h=eemphasised the need to cultivate friends of other civilizations, and tolearn to respond to the numinous in their great traditions [Needham, 1979,p.208]. 6 He accused Westerners of being enslaved to the idea of religious andcultural supremacy when presented with the great civilizations of Asia – atthe time he was specifically reacting to Koestler who was expatiating on th=eshortcomings of the Indian and Japanese religions. Needham responds withChristian humility: he that despiseth Man, despiseth not Man but God[Needham, 1979, p.203]. 7 The influence of Debiprasad Chattopadhyaya, Needham’s interlocutor formatters pertaining to ancient India, is seen here. Adas, Michael. 1990. Machines as the Measure of Men: Science, Technology,and Ideologies of Western Dominance. New Delhi: Oxford University Press. Baber, Zaheer,. 1996. The Science of Empire: Scientific Knowledge,Civilization and Colonial Rule in India, New York: State University Press. Barrow, John D. and Tipler, Frank J. 1988. The Anthropic CosmologicalPrinciple. Oxford University Press: Oxford and New York. Bentley, Michael. 1997. Introduction: Approaches to Modernity: WesternHistoriography since the Enlightenment, in Michael Bentley (Ed. ), Companio=nto Historiography, Routledge: London and New York, pp. 395-506. Blue, Gregory. 1999. Science(s), Civilization(s), Historie(s): A Continuin=gDialogue with Joseph Needham, in S.Irfan Habib and Dhruv Raina (Eds. ),Situating the History of Sciences: Dialogues with Joseph Needham, OxfordUniversity Press, pp. 29-72. Brooke, John Hedley, 1996. 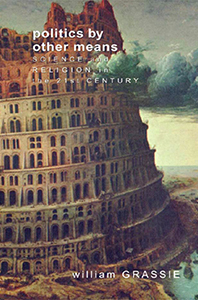 Science and Religion, in R.C.Colby, G.N.Cantor=,J.R.R.Christie and M.J.S.Hodge (Eds. ), Companion to the History of ModernScience. Routledge, pp. 763-782. Chattopadhyaya, Debiprasad. 1959. Lokayata: A Study in Ancient IndianMaterialism, PPH, New Delhi. * 1976. What is Living and What is Dead in Indian Philosophy, PPH, NewDelhi. * 1986. History of Science and Technology in Ancient India: The Beginnings,Firma KLM Pvt. Ltd., Calcutta. Cohen, H.Floris. 1994. The Scientific Revolution: A HistoriographicalInquiry. University of Chicago Press. Crombie, A.C. 1994. Styles of Scientific Thinking in the European Tradition: The History of Argument and Explanation especially in the Mathematicaland Biomedical Sciences and Arts, Duckworth. Elzinga, Aant. 1999. UNESCO and the Politics of ScientificInternationalism, in Aant Elzinga and Catharina Landstr=EEm (Eds. ),Internationalism and Science. Taylor Graham: pp. 89-131. Fuller, Steve. 1997. Science. Open University Press, Buckingham. Fuller, Steve. 1997a. The Secularization of Science and a New Deal forScience Policy, Futures, 29, 6, pp. 483-503. Gosling, David. 1976. Science and Religion in India. Madras. Hawking, Stephen. 1988. 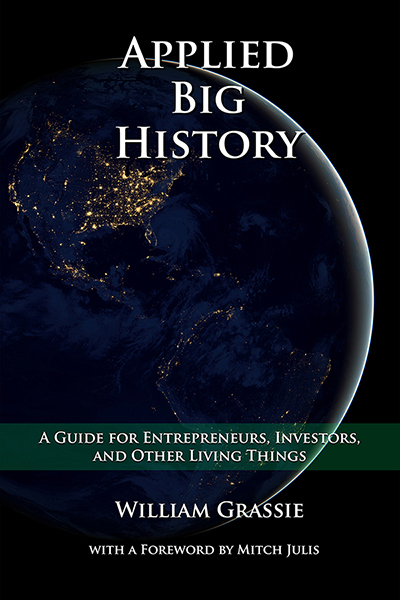 A Brief History of Time: From the Big Bang to BlackHoles. Bantam Press. Huff, Toby. E. 1993. The Rise of Early Modern Science: Islam, China and theWest. Cambridge University Press. Jacob, Margaret. 1988. The Cultural Meaning of the Scientific Revolution,New York: Alfred A.Knopf. Lai, C.H. and Kidwai, Azim (Eds.). 1989. Ideals and Realities: SelectedEssays of Abdus Salam. World Scientific Publishing Co. Ltd.
Lerner, L. and Gosselin, E. 1975. Galileo and the Long Shadow of Bruno,Arch. Intnl. d’Hist. des Sciences, XXV, 97, pp. 223-246. Malouf, Amin. 1992. Samarkand. Quartet Books. Murr, Sylvia. 1986. Les J=C7suites et l’Inde au XVIIIe si(cle: Praxis,utopie, pr(anthropologie, Revue de l’Universit( d’Ottawa, 56, 1, 1986, pp.9-27. Needham, Joseph. 1954-. Science and Civilization in China. 7 vols. Cambridg=eUniversity Press. * 1973. The Historian of Science as Ecumenical Man: A Meditation in theShingon Temple of Kongosammai-in on Koysan, in Shigeru Nakayama and NathanSivin (Eds. 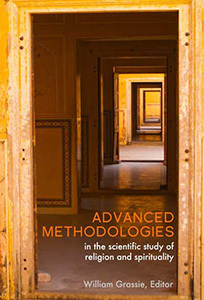 ), Chinese Science: Exploration of an Ancient Tradition, MITPress, pp. 1-8. * 1976. Moulds of Understanding: A Pattern of Natural Philosophy. GeorgeAllen & Unwin: London. Nowotny, Helga. 1984. Science and Utopia: On the Social Ordering of theFuture, in Everett Mendelsohn and Helga Nowotony (Eds. ), NineteenEighty-Four: Science between Utopia and Dystopia. Sociology of Sciences,Volume VIII. D.Reidel Publishing Company, pp.3-18. Petitjean, Patrick. 1999. Needham, Anglo-French Civilities and EcumenicalScience in S.Irfan Habib and Dhruv Raina (Eds. ), Situating the History ofSciences: Dialogues with Joseph Needham, Oxford University Press, pp.152-197. Porter, Roy. 2000. Enlightenment: Britain and the Creation of the ModernWorld. Penguin Books. Raina, Dhruv. 2003. 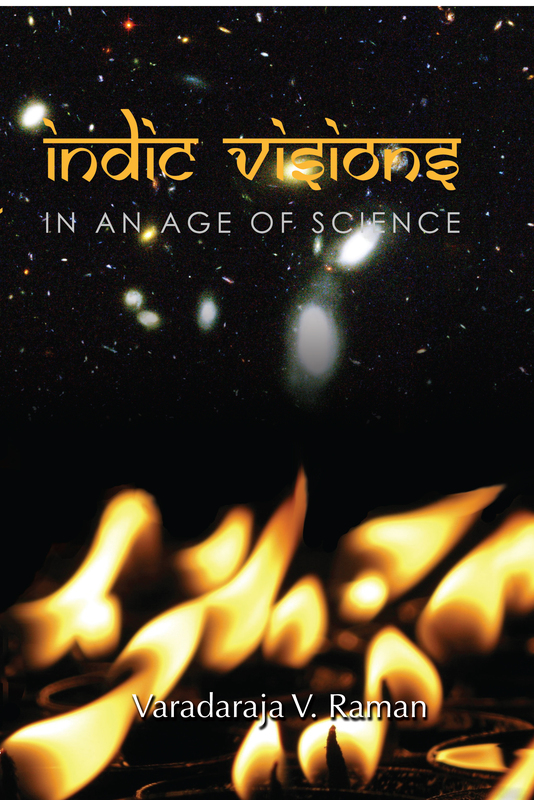 Images and Contexts: The Historiography of Science andModernity in India. Oxford University Press: Delhi. Raina, Dhruv and Habib, S.Irfan. 1996. The moral legitimation of modernscience: Bhadralok reflections on theories of evolution, Social Studies ofScience, 26, No. 1, pp. 9-42. Redondi, Pietro. 1989. Galileo Heretic. 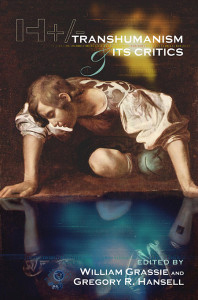 Trans by Raymond Rosenthal.Princeton University Press. Sayili, Aydin. 1960. The Observatory in Islam. Ankara: Turkish HistoricalSociety Series 7, no. 38. Singh, Jagjit. 1992. Abdus Salam: A Biography. Penguin Books India. Visvanathan, Shiv. 1999. The Strange Quest of Joseph Needham, in S.IrfanHabib and Dhruv Raina (Eds. ), Situating the History of Sciences: Dialogueswith Joseph Needham, Oxford University Press, pp. 198 – 219. To unsubscribe from this list:Send an email message to [email protected].In the body of your email, write: UNSUB SOPHIA. This method requiresverification by an email sent to your address.